This podcast will give you a deeper look into the professional and personal lives of various members of the OLLI at UNT community. In about 25 minutes or less, host Susan Supak showcases her talent for bringing out interesting facts about your fellow members, as well as the men and women who volunteer to teach our courses. She also gets the latest news about the program from OLLI at UNT staff. If you've ever left a course and wished the conversation didn't have to end, this podcast is for you. The primary way to listen to podcasts is through an app on your phone or tablet (see instructions at the bottom of this page). However, you can always listen to our podcast by coming to this website and clicking on one of the episodes in the list below. We will notify members via email each time we post a new episode. We have partnered with UNT Libraries Digital Collections to make our podcast episodes available in their Scholarly Works collection. You can check out the collection at https://digital.library.unt.edu/ScholarlyWorks. Susan Supak was previously the host of the Library Out Loud interview series at Albert Wisner Public Library in Warwick, NY. 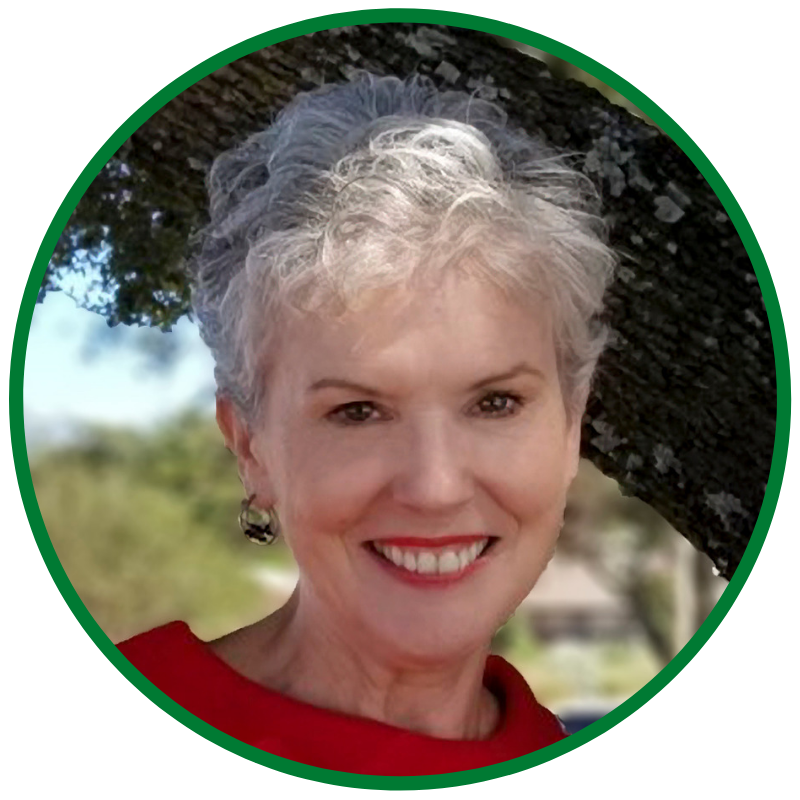 Since relocating to Texas with her husband, she has become an enthusiastic member and supporter of OLLI at UNT. When we asked what made her choose our program, she told us: "The numerous scientific studies that highlight the connection between lifelong learning and community involvement with maintaining cognitive and mental health make OLLI at UNT the most fun and exciting 'preventive medicine' we could ever want. It's a dose of interesting classes, bright people, and fun activities!" You can use your smart phone or tablet to subscribe to the OLLI at UNT podcast. Subscribing to the podcast allows you to be automatically notified when we add a new episode and you can have your device automatically download new episodes as well. This can be handy if you'd like to listen to the podcast while you're on the go or away from your desktop computer. To subscribe to the podcast, you'll need to download a podcasting app to your phone or tablet. A podcasting "app" (short for "application") is basically a program that allows you to play the podcast audio from your phone/tablet without having to navigate to this website first. Locate the app store on your phone/tablet and download a podcasting app. You can search "podcast" in your app store to compare the various app options. We've suggested two standard apps below, Apple Podcasts for Apple users and Google Podcasts for Android users. These apps may come pre-loaded on your phone/tablet. Once you've downloaded the app, open it and use its search feature to search for the "OLLI at UNT podcast." Once the podcast appears in your search results, select it and then be sure to subscribe to the podcast. or click here to read Apple's instructions. click here to read Google's instructions.